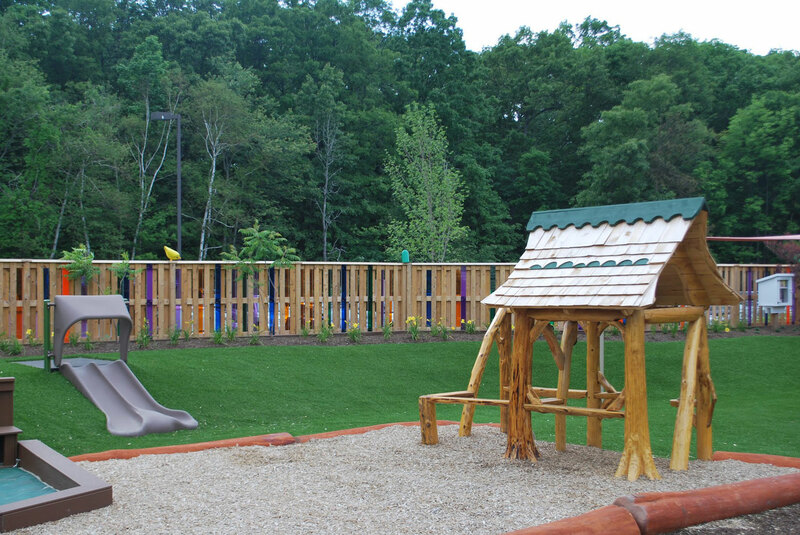 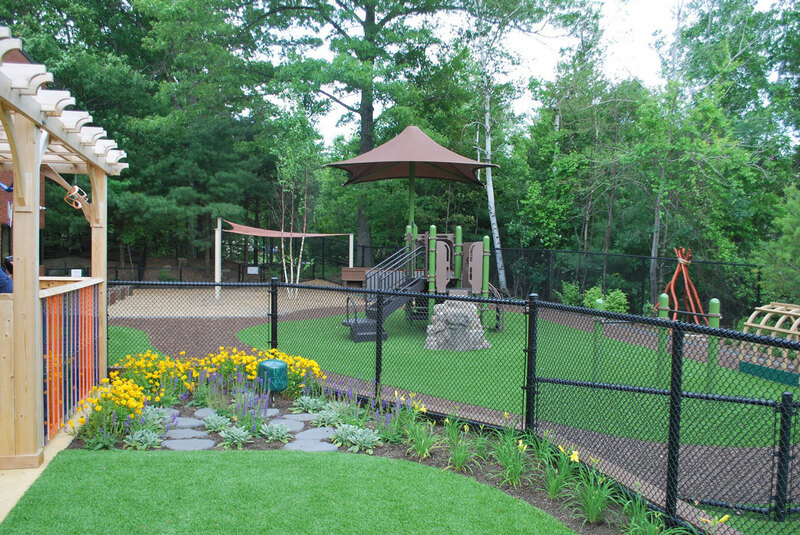 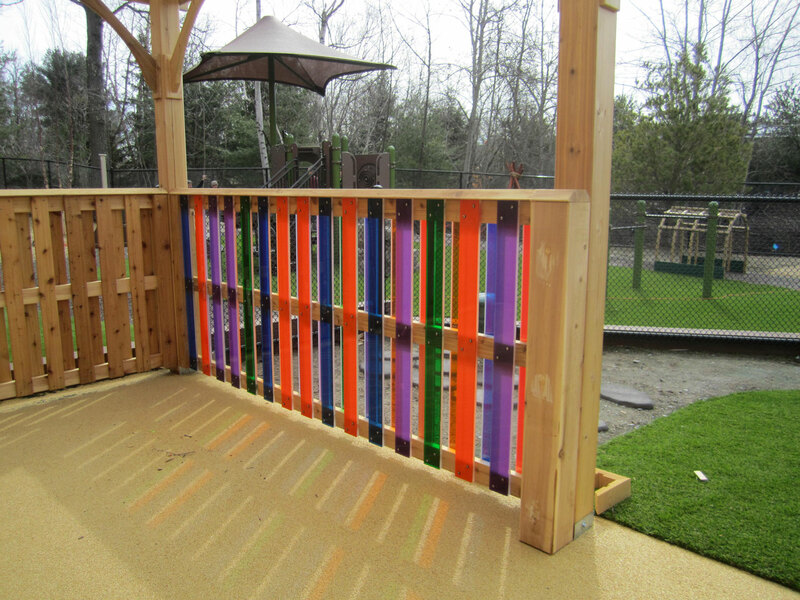 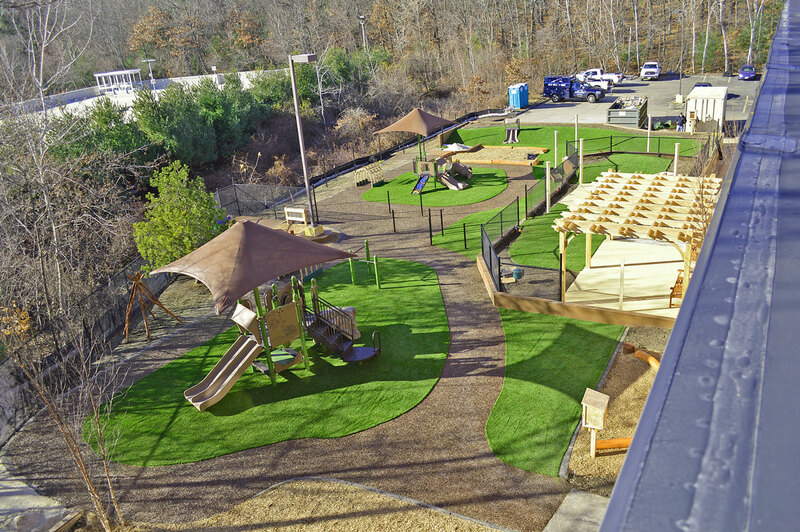 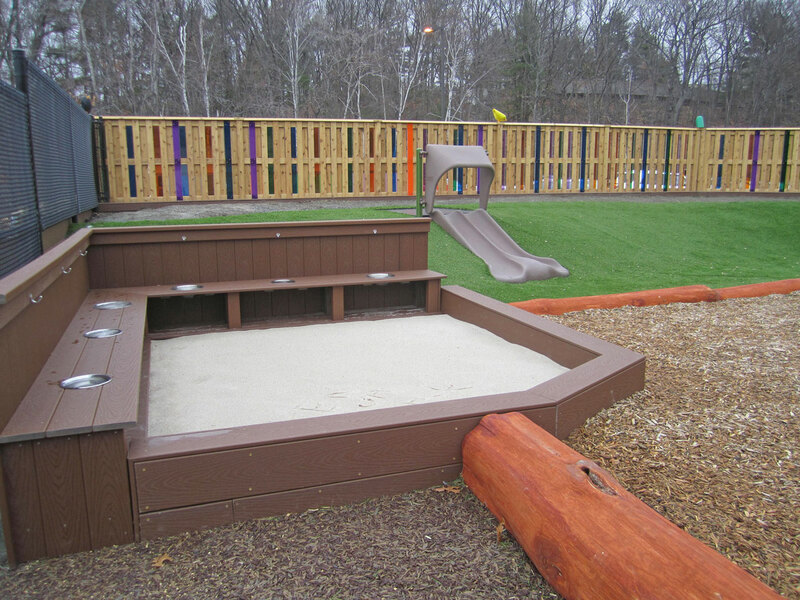 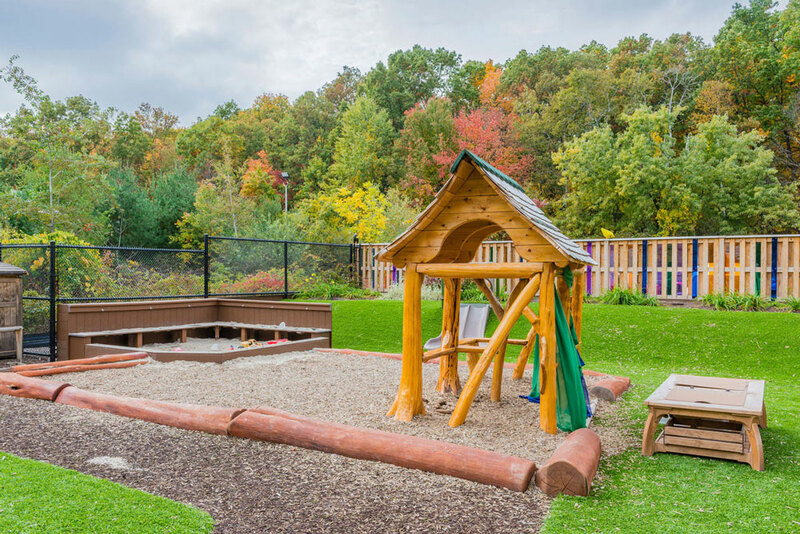 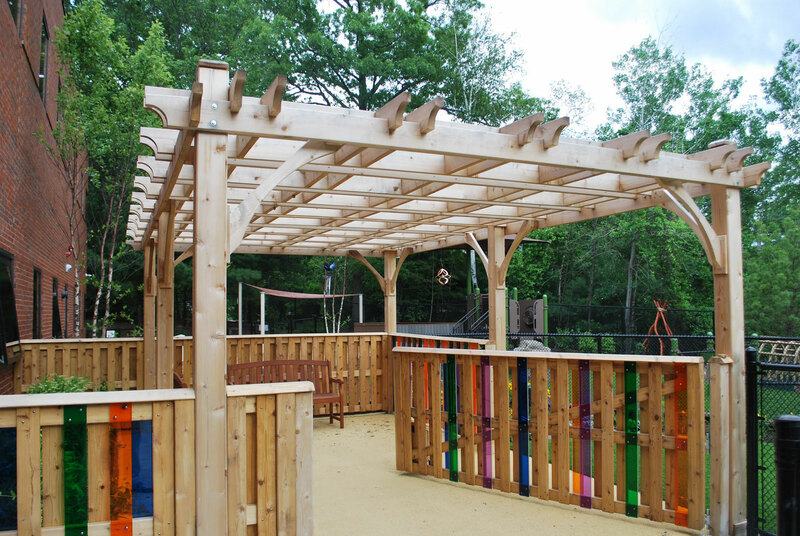 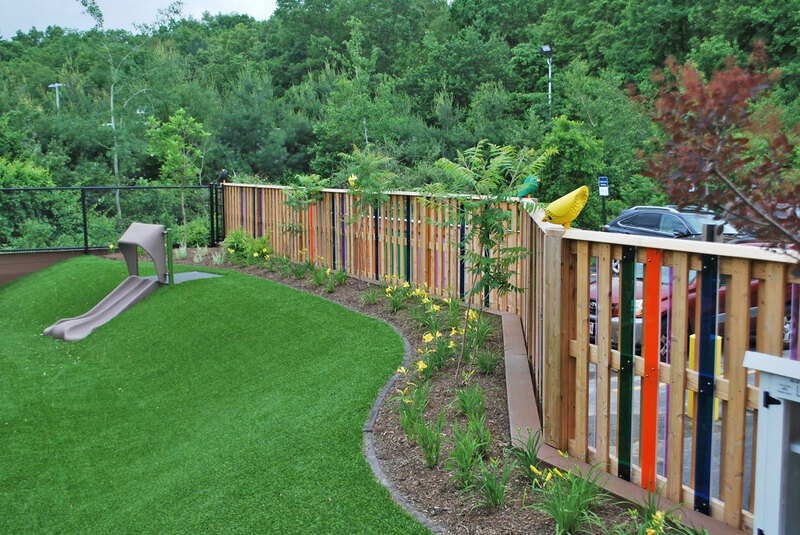 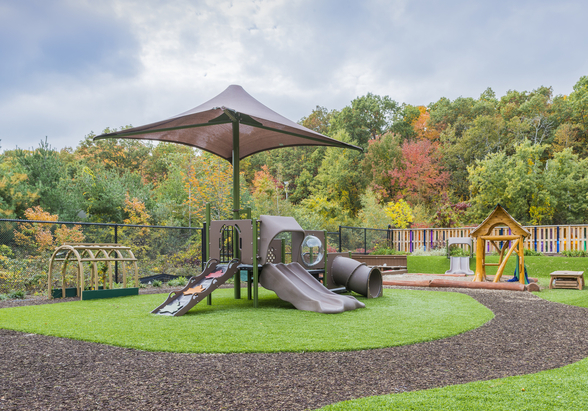 The studioMLA landscape/playscape design team creatively transformed a parking lot and overgrown thicket into an outdoor play and learning space that supports open-ended exploration and active play and gives children free access to a large natural wooded area. 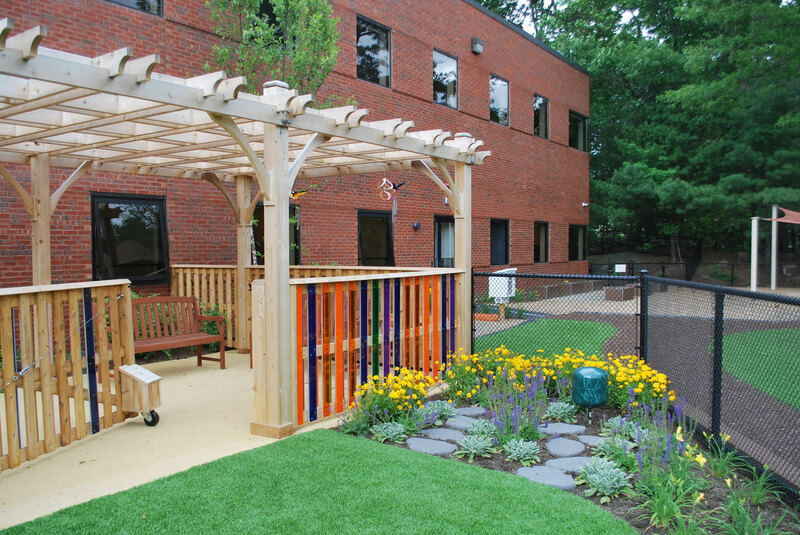 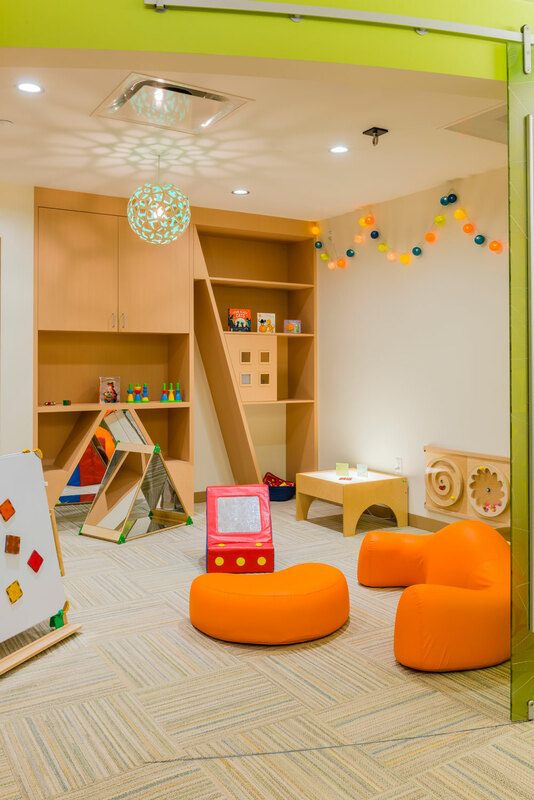 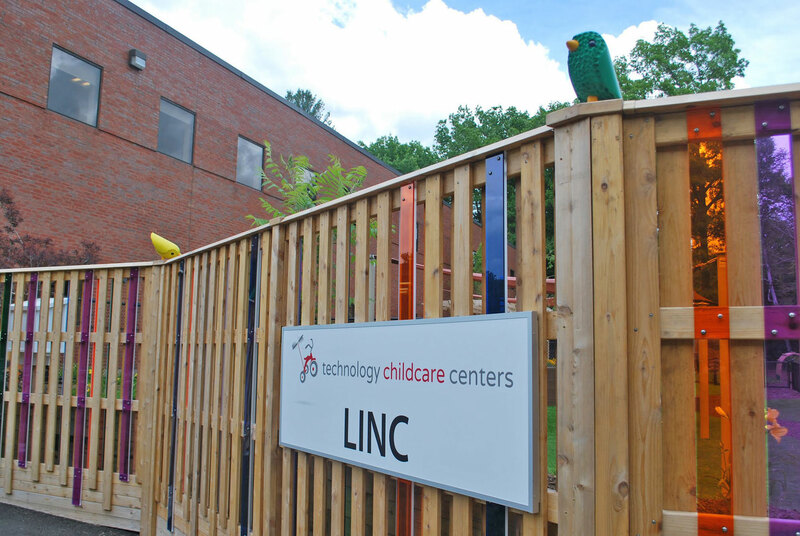 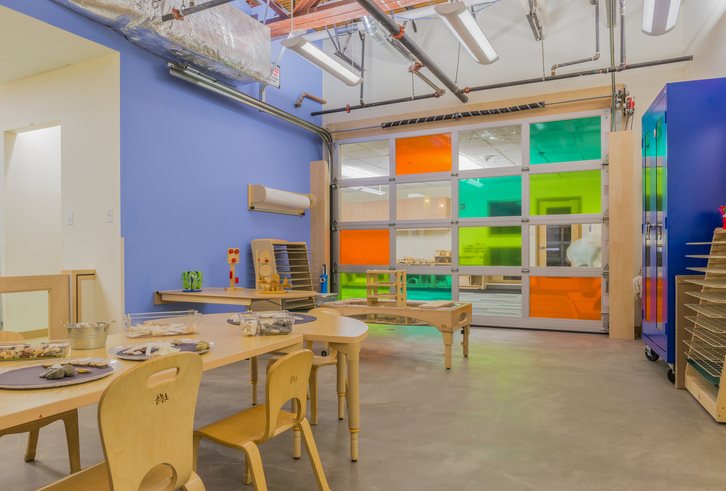 The new Childcare Center at Lincoln Laboratory’s is a state-of-the-art center which provides an engaging, welcoming environment for children and families that reflects Lincoln Laboratory’s and MIT’s culture of exploration and innovation. 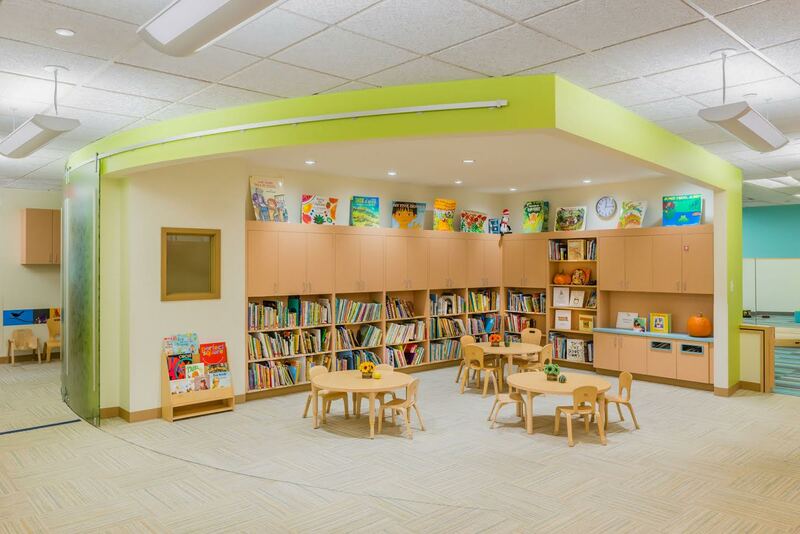 The center serves children from Infant through pre-kindergarten with spacious airy classrooms and dedicated, age appropriate enhancement spaces including an infant/toddler sensory space, an “investigations” space to support STEM activities, a children’s library and two large, open indoor spaces for active play and creative projects. 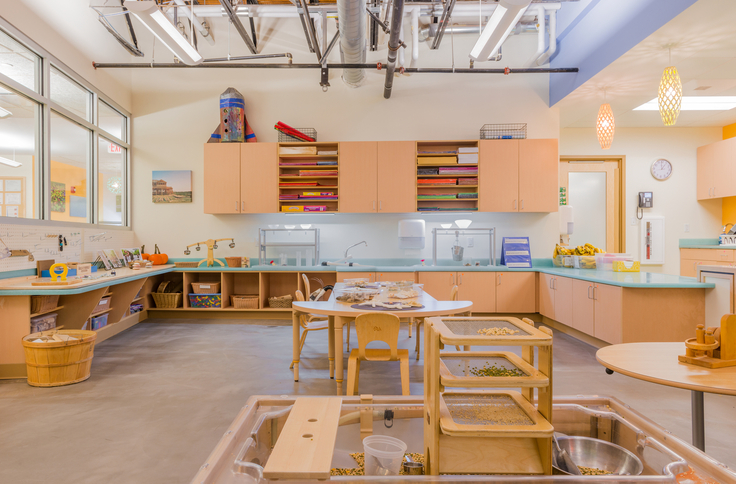 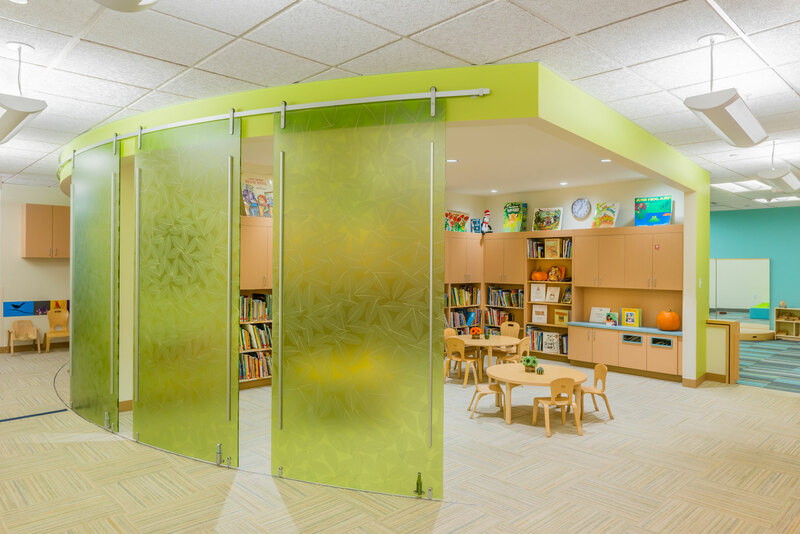 The studioMLA design team worked closely with parents and staff to ensure that the new spaces not only fully support the desired culture and curriculum but also enable the pedagogical team to envision activities and children’s projects that would not have otherwise been possible.